The A-ONE end carriage and wheel block travel unit system is an advanced design of rail mounting assembly for moving loads at variable speed, and it is the ideal choice for most lifting operations. The travel unit system is precisely engineered for outstanding performance and minimal maintenance proven under fully dynamic load tests. The strict testing and multi-stage quality control under the toughest conditions have ensured the maximum safety and reliability. 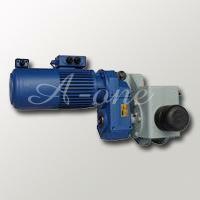 The A-ONE traveling drive system is a perfect match for GM-SERIES Products. 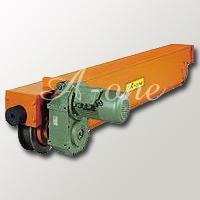 The steel structure with built-in wheel, buffers and buffer plates. The material of steel wheels is S45C after heat treatment. 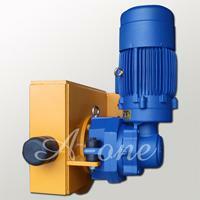 In addition, 34CrMo4 (JIS-SCM435, AISI-4135) is available on request. 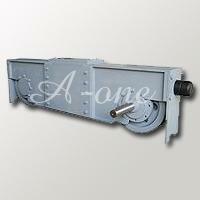 The material of the shaft is steel after heat treatment. Long life bearings which are with lubricant provide the function of anti-friction. 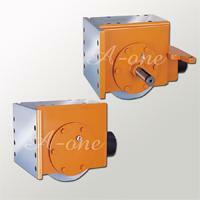 The material of the bearing house is cast iron or steel.